For years I have been promising myself a new MIDI controller keyboard. 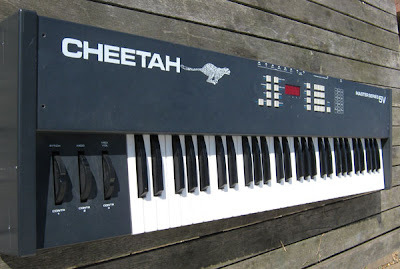 In about 1990 I was lent a Cheetah Masterseries V5 keyboard that was surplus to the requirements of its owner. This replaced a Yamaha home keyboard that had stopped working properly. My generous benefactor was of an itinerant nature and there was never a good time for him to take back the keyboard which would, after all, have been merely an inferior back-up for his new machine. In the end he moved to Boston, Massachusetts, I also move house and we lost touch. First made in 1987, the Cheetah predates the home computing age and was designed to control other keyboards and those sound generating boxes and samplers that we first thought of as keyboards without keys. I only ever used it for playing notes into Cubase, my music software of choice. I thought it would eventually just pack up but but what finally did for it was a small rabbit called Pumpkin. During the cold weather Pumpkin turned into a house rabbit. 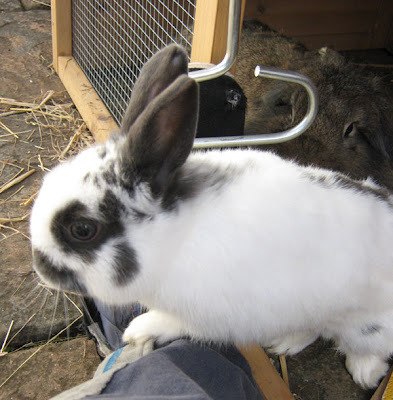 Rabbits are sociable beasts and need to be kept in pairs so he lived indoors, in the company of humans, for the sake of his mental health. All went well to begin with but then he got into chewing through wires. In a short space of time he ate through a USB lead, three telephone extensions cables, the wire of a Wii sensor bar and the power supply (switched off at the time but only 9v anyway) lead of the Cheetah keyboard. Now Pumpkin, neutered, lives outside with Pirate, also neutered. So, the perfect excuse to replace the keyboard. I did fix the mains lead but then the wire gave up right next to the 'wall wart' transformer. I soldiered on, scoring an animation by walking over to the piano, playing for a while and then drawing the notes into Cubase, and auditioning sounds, with the mouse. My work rate ground to a near halt and on Monday I went to my local instrument shop and splashed out on a Novation 49SL MkII. It does all sorts of fancy things that I am only just beginning to get my head around and, at four octaves instead of five, is much more compact. It will cut out a lot of mouse work and that can only be a good thing. The plethora of coloured lights are reassuringly Starship Enterprise and soon I'll know what they all mean and be able to 'make it so'. And the Cheetah? In January one sold on eBay for £11.50, minus its power supply. I imagine I'll keep this as a spare until I can find a volunteer to give it a home. I may even fix the power supply, which has a DIN plug connector. They really don't make them like they used to - the Cheetah was built to be repaired and serviced. 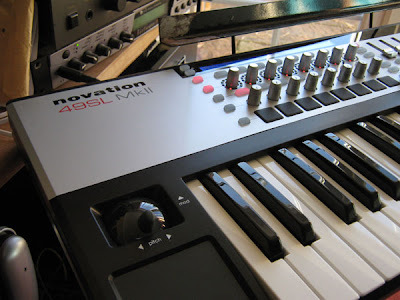 The Novation, unless I am very much mistaken, is destined for land fill sooner or later. I hope it's later. I've got a cheap and cheerful novation, about 6 years old, they're quite solid and coffee resistant is the conclusion I've come two, mine is tiny though, I think it might be two octave. excellent little things. I've got a Fatar piano action keyboard, the same size as a piano keyboard, since I bought it for driving Gigastudio. I'd told the wife I was going out to buy a keyboard, and she thought I meant a two-octave synth-type thing. That's reassuring, TJ. I'll take your word on the coffeee resistance although it's a feature that could easily come in handy. For me 25 keys is possibly a little small , if only because I still harbour aspirations of being a useful keyboard player. On the other hand the full 88 is rather large. Fortunately my partner accepts that a piano is by nature 'a good thing' (but inconvenient all the same). I'm probably correct in assuming that an electronic keyboard, even a Fatar, is not 'a good thing'. So where did yours end up, Mr C? Mine did end up in a useful position on our cramped little office, where it did stirling service for some years. 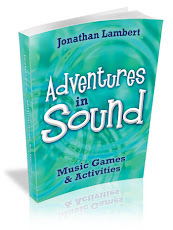 I used it extensively to make piano accompaniments to my flute parts so I could practice the whole piece without a real pianist. At the moment, I have to confess, it's languishing a bit, and the workstation is over in a spare room in the gite. I blame lack of time. I have far too much to occupy myself in the garden to have time to key in and manipulate pages of piano music. I am still using my Cheetah 770 (see picture above) after a £100 purchase about 15 years ago (it was old even then!) but recently, the power input PCB (interior of the socket) burnt out due to me tripping over the cable. The PSU is fine but I can't ID the burnt out components - any ideas out there folks? I'm not sure which parts you need to get up and running again but if you email me via my website www.lamsound.com I can send you photos of the insides of the keyboard and give you numbers of any parts you identify as being useful. The inside of the socket just looks like the inside of a DIN socket to me, with wires going to the main (well, only) PCB.